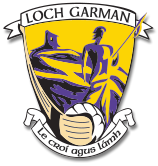 Wexford Coaching & Games Development promotes Gaelic Games in clubs, schools and academies throughout Wexford. A full-time staff of five GDA’s working under the County Games Manager cater for the needs of child, youth and adult players in both football and hurling. In catering for players needs in a balanced way, a two-pronged approach is in place. Optimise playing standards to ensure that all players are provided with opportunities to fulfill their potential through regular, meaningful games and top class coaching. At various times during the season, Wexford GAA may wish to recruit part time CE coaches for a wide range of coaching projects working alongside GDA’s & GDM. These programmes would range from Primary Schools Coaching & various camps throughout the county. Submission of the attached form merely constitutes an expression of interest, if an opportunity arises then candidates will be shortlisted based on application form completion and the requirements listed below.